index | Pre-views, level help, tips and videos for ALL Facebook King levels! Blossom Blast Saga Level Index with TIPS and TRICKS!! LIKE Blossom Blast Saga UNOFFICIAL at Facebook, please subscribe! We have made example vids of all the Blossom Blast Saga Levels for you to check out, so that you’ll get more confidence with your gaming. ALL LEVELS CAN BE COMPLETED, no Blossom Blast Saga Gold Bars needed. ;-) Download links for Blossom Blast Saga can be found in Level 1 description. Blossom Blast Saga level 145 COMING SOON!! Blossom Blast Saga level 176 website guide! Blossom Blast Saga level 177 website guide! Blossom Blast Saga level 178 website guide! Blossom Blast Saga level 179 website guide! Blossom Blast Saga level 185 – Remove the Weed! Blossom Blast Saga level 189 Score 12 000 points to pass. Blossom Blast Saga level 199 – demo by Mainewil. Pet Rescue Saga – the NEW Episode Castle Camelot done and dusted! 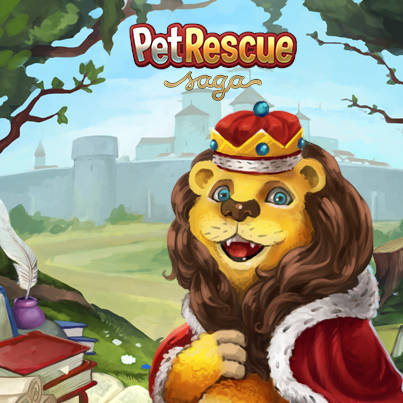 Pet Rescue Saga – New Episode with 15 challenging levels for PC/Mac gamers! The new Pet Rescue Saga Levels came extremely LATE THIS TIME! Well, that is in comparision to earlier years… Pet Rescue Saga has been around for more than two years by now and as the King Saga Game statistics analyst that I am (see end of post for more info on that…) I have often wondered why high paying countries prime time (that is United States and Canada, the housewifes games a lot!!!) isn’t more in focus when they launch new levels. The audience from USA supposedly buy more boosts and gold bars for higher prices than Vietnamese and German gamers do, please comment if you have some fresh statistics on that, will you? We know that Candy Crush Saga took fire in east, all Asia went crazy, is Pet Rescue Saga more popular in US/Europe than in Turkey/Asia. So maybe this is the new time we have tasted today, later level launches? I am now off to make a one click coins post for 4500 that will be published as SPECIAL 1-CLICK button #1, right after this post has at least 42 “likes” or shares. the parenthesis…. When I stated analyst I meant an unofficial ofcourse, the Blogging Witches adore and kiss the ground where the King walks, but we ain’t getting any paychecks from Midasplayer Ltd or King.Com. The other witches had some good communication going on, but some community managers at King are great, working well with us and takes our information serious, others have read their heavy conduct thingies that officially actually states that if you work at King you can’t have a client as friend or something like that.